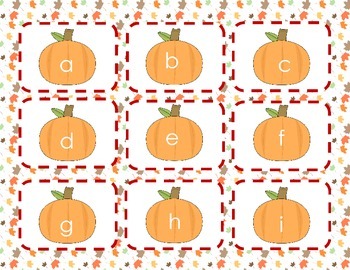 This file includes a letter recognition game in which children choose letters (I've included upper and lower case letter cards) and must read them to keep them! But be careful, and don't pick the brown pumpkin! 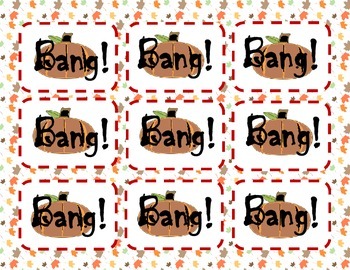 If you choose the brown pumpkin with the word "bang" written on it, you have to put all of your cards back in the box! I use old tissue boxes when they are all out of tissues, and put the cards inside. They seem to be the perfect size, and don't allow for much peeking! Enjoy!